If you believe that your loved one has been abused or neglected in a nursing home, you need the advice of a professional who specializes in this area of law. This website is a comprehensive guide to the many forms of nursing home abuse, how to identify them, and what you can do about it when you suspect your loved one has become a victim. As it relates to residents of nursing homes, abuse is generally regarded as the deliberate infliction of injury, and/or the unnecessary use of confinement, intimidation, or punishment that results in a nursing home resident suffering physical or emotional harm. Neglect, on the other hand, is defined as the refusal or failure of a person or entity who has a fiduciary responsibility to provide necessary care to a nursing home resident. Why file a lawsuit against a nursing home for abuse? Filing a nursing home abuse lawsuit may be the only mechanism through which a loved one who is the victim of neglect and abuse can be compensated for the economic and human losses that the abuse or neglect has caused them. 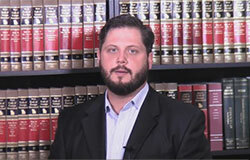 In other words, a nursing home lawsuit may be the only way that your loved one, your family, and your attorney can subpoena witnesses to testify on your loved one’s behalf, request the necessary documents, and allow a jury to evaluate all of the evidence, and compel those responsible to compensate your loved one and/or your family for the harm caused by preventable neglect or abuse. In Georgia, you generally have two years from the incident to file a personal injury or medical malpractice lawsuit. However, depending on the specific circumstances, there are exceptions which can either lengthen or shorten the time you have to take legal action against the nursing home that abused or neglected your loved one. For example, the statute of limitations may be extended in cases of medical malpractice against a health care provider, or when the victim is legally incompetent. Other exceptions may apply as well. Consult with a qualified attorney to help determine the applicable statute of limitations in your specific case, and whether or not any exceptions apply that may extend or shorten the period of time you have to file a lawsuit. We are Schenk Smith, your Toccoa nursing home lawyers. 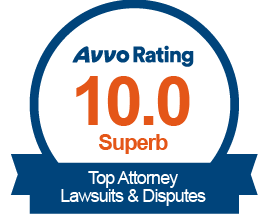 At Schenk Smith, LLC, we are compensated when our clients win their cases. For that reason, we evaluate the risks of taking on a case thoroughly. Because we employ reputable experts as witnesses and advisers and pay for the resources needed to determine what took place in every case, we don’t accept cases that have only a minimal chance to succeed. We are extremely selective in the cases we accept, and because of this, we are able to spend the time, resources, and effort necessary to take your case to trial (if necessary) and win. While other law firms who are not as selective would not be able to do so. Whether you live or work near Tallulah Gorge State Park, Currahee Military Museum, or World of Energy at Keowee-Toxaway, we encourage you to contact us to arrange a time where we can come to you and discuss the particulars of your case. Call us today. Nursing Home Abuse & Neglect in Toccoa, Georgia- What you need to know. Toccoa, Georgia is located in Stephens County and has a population of 8,374 residents. Of those, 16.30% are aged 65 and older. What are the signs of nursing home neglect in Georgia? Nursing home neglect is evident whenever a resident is deprived of any of the necessities of life such as food, water, clothing, shelter, personal hygiene, medical treatment, comfort, safety, and other essentials implied or agreed-upon. In addition, you should look out for any indication that your loved is still in pain after supposedly being administered their prescribed pain medications — this may suggest their pain medications are not being administered properly, if at all. Bedsores are incredibly painful, even in the initial stages before the wound has begun to penetrate muscle tissue. As the wound gets progressively worse, it develops into an open sore that can easily get infected. The infection alone can cause a tremendous amount of pain and suffering and, as you can imagine, it can be very uncomfortable to have the weight of your body bearing down on a festering wound. Patients who develop stage four bedsores (the worst) have a high mortality rate. While the bedsores themselves are typically not the ultimate cause of death, they contribute to the patient’s death by introducing the patients’ bodies to dangerous infections. For patients who are terminally ill, bedsores often exacerbate illnesses and bring about death earlier than anticipated. Patients who are not terminally ill frequently succumb to complications caused by the bedsores such as deadly infections and sepsis. Nursing homes that neglect patient’s bedsores until they are in an advanced stage, may be sentencing their patients to death. Dying due to complications caused by bedsores is a very undignified way to go and your loved one deserves much better. Who is responsible for nursing home neglect? Given the fragile nature of the typical nursing home resident, there are both federal and state laws that require nursing homes and other residential care facilities to closely regulate everything that goes on in the facility. This includes, for example, making sure that your loved one is properly administered the medications he or she needs, that there are no hazardous conditions that can cause them to fall and be injured, that the temperature in the facility is never too hot or too cold, and even that your loved one doesn’t choke on his or her food. So, when a loved one is injured or dies in a nursing home due to negligence, the administrator of the nursing home, the nursing home itself, the company that owns the nursing home, the doctor who treated your loved one, and the nursing home’s staff members, amongst others, may all be held responsible. It is your lawyer’s job to examine this chain of responsibility, determine at what point things went wrong, and which people along the way failed your loved one and share in the responsibility for their injury or death. My loved one was hurt in a Toccoa nursing home- What do I do next? If your loved one was severely injured or passed away at a Toccoa, Georgia nursing home, then we recommend that you act as soon as possible to protect your loved one’s rights. Georgia Department of Community Health investigates reported cases of nursing home abuse or neglect and regulates the quality of nursing home care throughout the state via its Health Facility Regulation division. You may also file a complaint with the Georgia Office of the Long-Term Care Ombudsman. This agency deals with issues involving nursing home facilities that concern violations of resident rights, including but not limited to, patient abuse, gross neglect, and exploitation. Some wrongful conduct committed in nursing homes (theft, assault, etc.. ) are not only a violation of state and federal nursing home regulations, they are also a criminal acts. Crimes committed against nursing home residents, like those committed against children, are perhaps the most egregious crimes of all. If you suspect that a crime has been committed against your loved one, it should be reported to the local police or District Attorney’s Office: Mountain Judicial District. For abuse occurring in a Toccoa, Georgia nursing home, report the crime to the City of Toccoa Police Department or to the Stephens County Sheriff . The best way to avoid your loved one being abused or neglected in a nursing home facility is to choose one that does not allow a failure in care to this degree to occur in their facility. However, people don’t properly look into the quality of care provided by a nursing home until a problem becomes evident and they need to find a better facility for their loved one. Even then, the task is easier said than done. This is because the information about nursing homes that is available to the public is much more limited than it should be. That being said, there are resources available that will help you find clues as to the quality of care a facility provides if you know where to look and what you are looking for. One of these resources is Medicare.gov’s website Nursing Home Compare, which is funded and operated by the U.S. Centers for Medicare & Medicaid Services. For your convenience, a list of all nursing homes located within Toccoa, Georgia is located below, along with their contact information and inspection scores. Maintaining accurate and complete medical records for every patient is the solemn responsibility of every healthcare provider. It’s also their legal duty. When medical records indicate substandard care or negligence on the part those entrusted with your loved one’s care, the nursing home, and its staff can be held liable for damages. Needless to say, access to your loved ones medical records is extremely important. However, because medical records contain very important information that is of an extremely personal nature, federal law prohibits anyone other than the patient or their legal representative from gaining access to them. This means that in order to have access to your loved one’s medical records, you will need to be authorized to act on their behalf. This is most often achieved by durable power of attorney, health care directive, or by being appointed as your loved one’s legal guardian. If your loved one is a victim of nursing home abuse or neglect, they themselves may file a lawsuit against the wrongdoers (the nursing home and its staff). If they are unable to file the claim themselves, you or someone else may be authorized to file the claim on their behalf. If your loved one has died as a result of the abuse or neglect they suffered in a nursing home and an estate has been opened through probate, the executor or administrator of that estate would be entitled to bring a claim on the estate’s behalf. Probate is the legal process of a finalizing a person’s financial affairs and distributing their money, property, and possessions to their survivors. Probate is carried out by the person named as executor in the decedent’s will or who was appointed to administer the estate by the probate court. If your loved one has passed away, opening an estate through probate and establishing an executor or administrator should probably be your first step. What follows is a list of nursing homes facilities in the Toccoa, GA that was found through the Centers for Medicare and Medicaid Services’ Nursing Home Compare Website and that we believe will assist you in selecting a quality facility for your loved one. At Schenk Smith, LLC, our top priorities are protecting our clients’ rights and working relentlessly to achieve the best possible outcome for their cases. Whether you or a loved one has been injured or died as a result of nursing home abuse or neglect, we will advocate for you aggressively and guide you through the process of seeking justice and compensation. What makes Schenk Smith, LLC unique? Focus: All we do is nursing home law. We specialize in cases concerning nursing home abuse and neglect and that’s all we do day in and day out. Readiness: Focusing on one area of law allows us the time and resources to be prepared to go to trial and fight to recover the compensation you deserve. 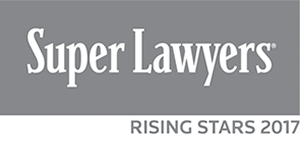 Our Accolades: Attorney Rob Schenk has been identified as one of the best lawyers in America and listed as a Super Lawyer in Georgia in the area of nursing home law. Experience and familiarity with the subject matter: In addition to working as a prosecutor in the Fulton County Solicitor General’s Office, attorney Will Smith spent a decade working as a CNA in nursing homes across Georgia before becoming an attorney. Teaching: One of the most rewarding aspects of our legal practice is hosting a weekly video podcast to teach the public how to obtain justice after a loved one is abused or neglected in a nursing home. If your loved one was injured or died in a Toccoa, Georgia nursing home, please call us at Schenk Smith (678) 823-7678 for a free consultation. You can also check out hundreds of video FAQs on our website.